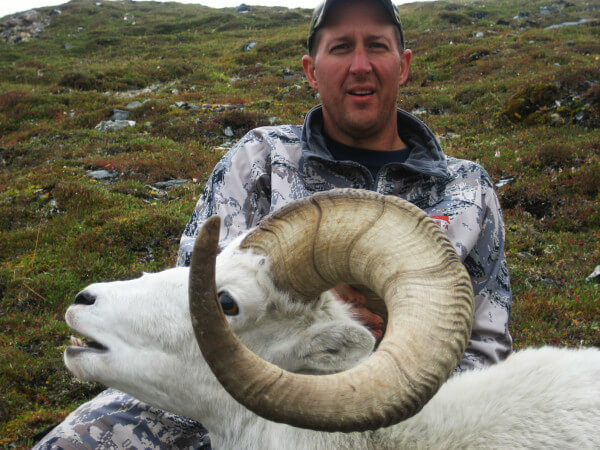 Our Sheep hunts take place in the Alaska Range just south of Fairbanks. The Alaska Range boasts some of the most breathtaking scenery that Alaska has to offer. Its lush Alpine meadows and vast glacial formations provide some of the finest Dall Sheep habitat in the Interior. This area is capable of producing 38” rams, or better. Walking is good, though hunters should be in condition to walk 3-5 miles per day. Our base camp consists of a separate tent for meal preparation and 6-8 man Cabela’s dome tents with cots for sleeping. Spike camps are 3 man pack tents. We will hunt daily out of base camps or spike out as needed to provide the best opportunity at a trophy ram.